The total system for dimensional brows. Tinted wax creates a base; soft-fiber powder imparts natural looking texture and dimension.Using the round end of the brush, apply wax where brow is sparse. Using the angled end of the brush, apply fiber-powder over wax. Mix shades, if necessary, to create the perfect match.Vitamins C & E condition and protect. Ingredients:Brow Wax: Ethylhexyl Palmitate, Polybutene, Paraffin, Silica Dimethyl Silylate, VP/Eicosene Copolymer, Phenyl Trimethicone, Microcrystalline Wax (Cera Microcristallina), Dimethicone, Trimethylsiloxysilicate, Tocopherol, Ascorbyl Palmitate, Caprylyl Glycol. Brow Powder: Talc, Zinc Stearate, Nylon 66, Polymethyl Methacrylate, Tricaprylin, Silica, Tocopherol, Ascorbyl Palmitate, Water (Aqua), Tetrasodium EDTA, Caprylyl Glycol, Hexylene Glycol, Phenoxyethanol. Sticky Brow Powder: Talc, Dimethicone, Diisostearyl Malate, Laurdimonium Hydroxypropyl Hydrolyzed Keratin, Methicone, Zinc Stearate, Isostearyl Alcohol, Water (Aqua), Malic Acid, Tin Oxide, Caprylyl Glycol, Hexylene Glycol, Phenoxyethanol May Contain (+/-):Brow Wax: Mica, Titanium Dioxide (CI 77891), Iron Oxides (CI 77491, CI 77492, CI 77499), Carmine (CI75470), Ultramarines (CI 77007), Manganese Violet (CI 77742), Chromium Oxide Greens (CI 77288), Chromium Hydroxide Green (CI 77289), Ferric Ferrocyanide (CI 77510), Green 5 (CI 61570), Yellow 5 Lake (CI 19140), Blue 1 Lake (CI 42090)"Contains Carmine as a Color Additive." 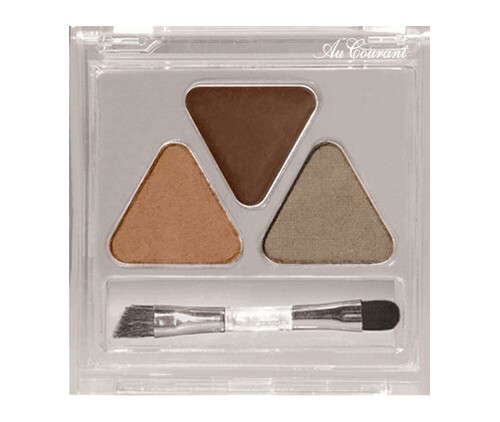 Brow Powders: Mica, Titanium Dioxide (CI 77891), Iron Oxides (CI 77491, CI 77492, CI 77499), Carmine (CI 75470), Ultramarines (CI 77007), Manganese Violet (CI 77742), Chromium Hydroxide Green (CI 77289), Chromium Oxide Greens (CI 77288), Ferric Ferrocyanide (CI 77510), Yellow 5 Lake (CI 19140), Blue 1 Lake (CI 42090)"Contains Carmine as a Color Additive.